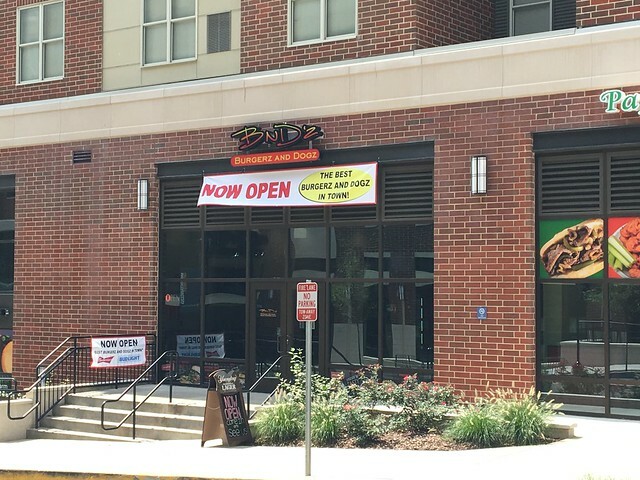 A new restaurant has opened up at University Place: BnD'z Burgerz and Dogz. University Place, the University housing complex in Sunnyside, has a handful of other eateries, and this Pennsylvania-based restaurant is the newest addition. 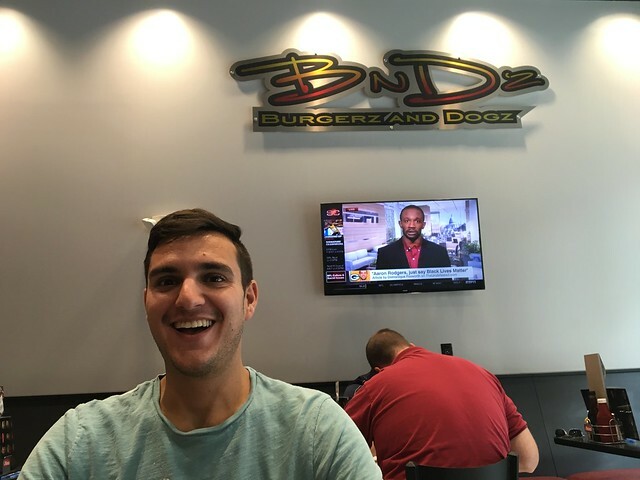 The BnDz's concept evolved from my love of burgers and hot dogs. I love these staples of American food, but I could do without that first bite guilt. You know the feeling: Is this burger processed, full of additives and preservatives? Fresh buns aren't supposed to be crunchy, are they? Seems like these condiments are just covering up the flavor of the hot dog, not really complementing my meal like home made toppings should. And who actually prepared this? It was just handed to me in a paper bag or was brought to my table from behind some closed swinging doors! 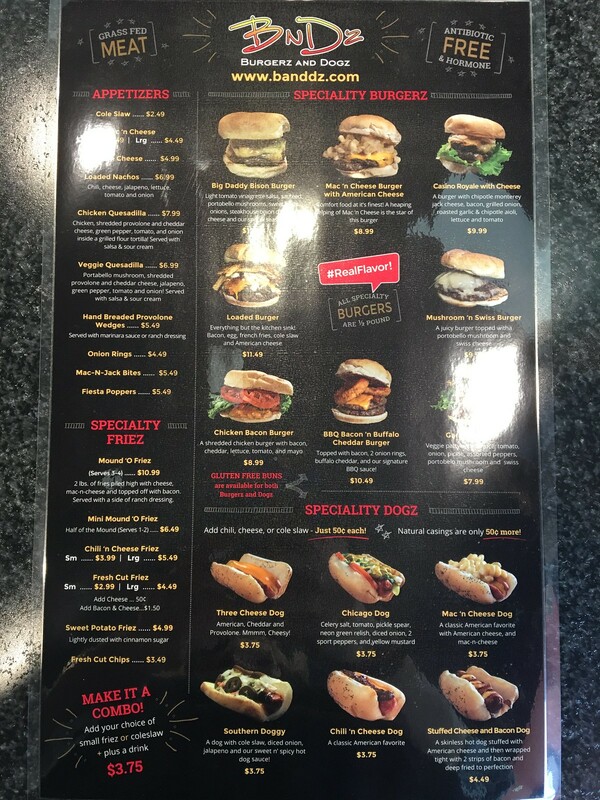 My dream was to offer Pittsburgh the purest burgers and dog's possible. The buns surrounding them would be as fresh as they could be! The condiments meant to enhance these delicious meals would be made fresh, on site! What else could I do to add to the wonderful experience of eating one of these creations? I've always been fascinated with cooking shows, being able to watch a World Renowned Chef prepare a mouth watering meal with the freshest ingredients right in front of my eyes. The creation is half the fun. That's it! Our customer's will be able to not only witness the evolution of their meal in our open kitchen, they will be able to choose all the ingredients that go into their food! 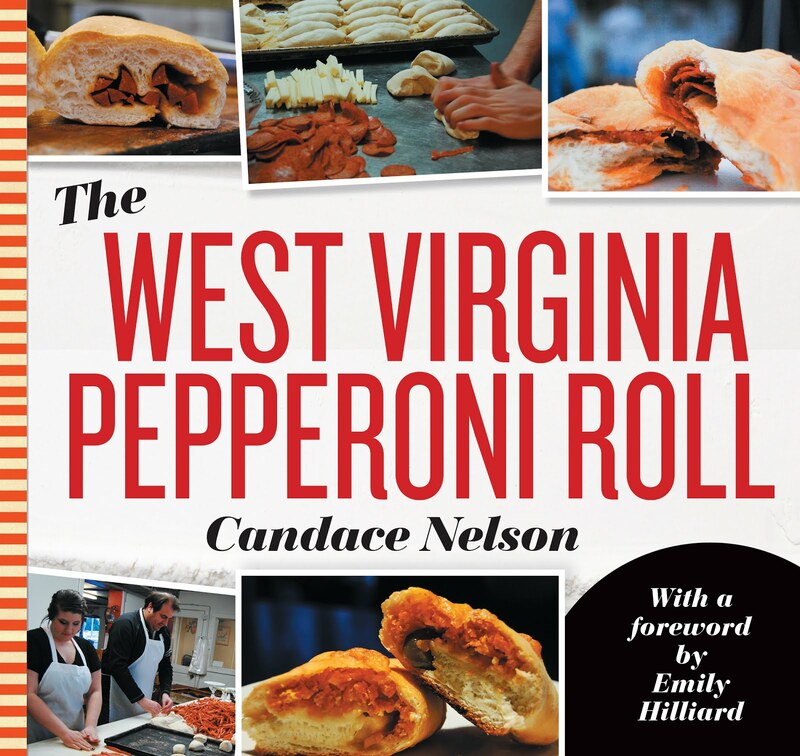 Want a hot dog inside a gluten-free bun, with home made BBQ sauce and a side of fresh, from scratch cole slaw? We can create that! 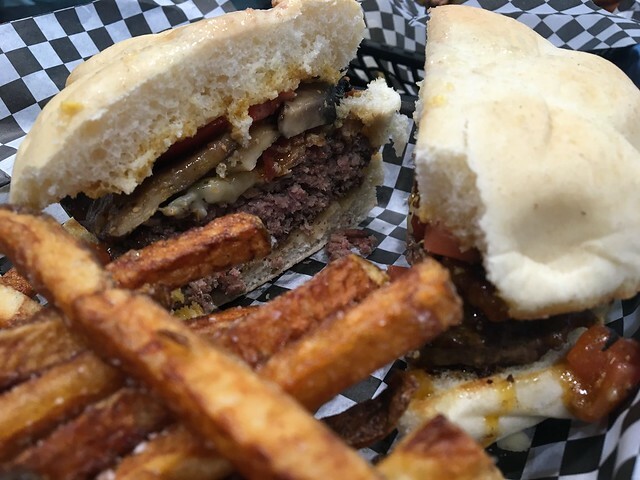 Want a vegetarian burger on a fresh Cellone's bun with balsamic vinaigrette? Done! How about just an all American burger made from grass fed beef, cooked up just the way you like it? Absolutely! 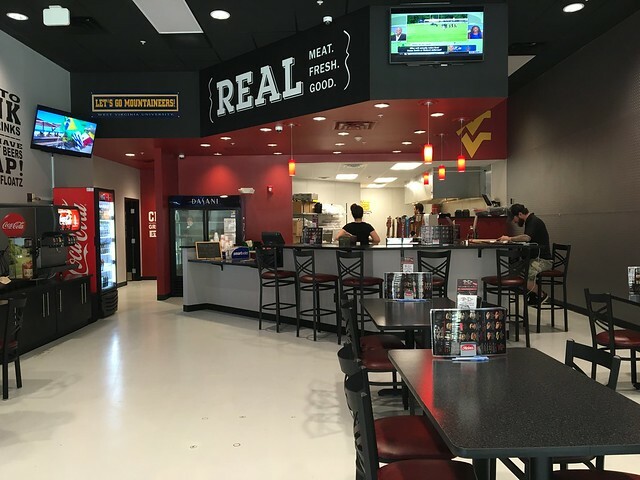 Here at BnDz's, we're committed to bringing you the freshest, tastiest dogs and burgers in the 'Burgh. Stop in and tell us how you want us to create your masterpiece. Oh, and hold the guilt! The bison burger is very good. It was also about $18 total for the meal, so it's not cheap for lunch. But the patty is very well-seasoned and cooked well. The toppings were also a nice mix of flavors, and I was pretty impressed with this burger. Though, that price tag for lunch was a bit hard to swallow. 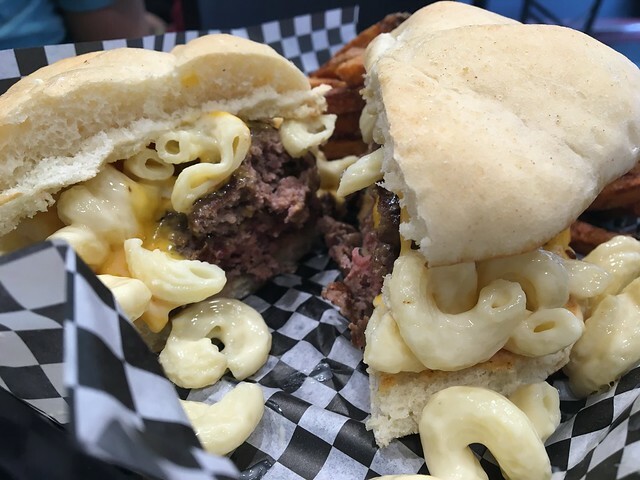 The mac n' cheese burger wasn't quite as exciting (I know! Me! Saying mac & cheese is eh!). But, the burger was significantly not as flavorful, and the macaroni was OK. Not much else going on there. The fries were decent, too - if not a bit too salty. But, overall, I was pretty impressed with the bison burger. Only downside there, really, was the price. 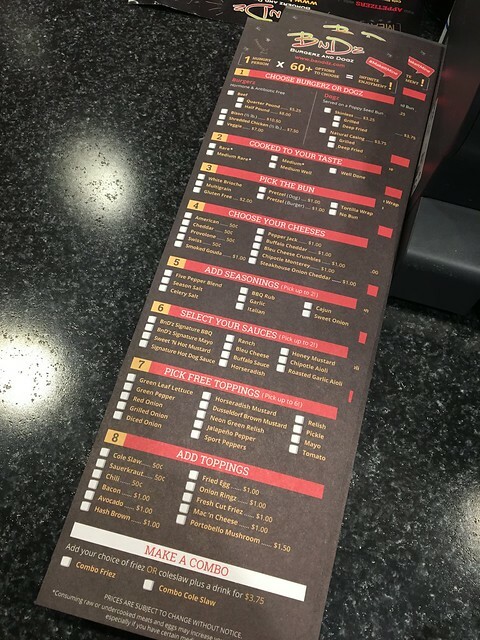 The regular burger, though, I would skip.